Paleo baked lemon chicken Thighs – If you don’t already love chicken thighs, I am determined to get you to love them at least a fraction of how much I do. 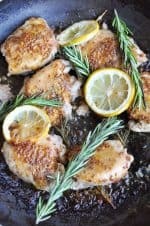 These Paleo baked lemon chicken thighs are easy, flavorful and fancy enough for company but easy enough for a quick weeknight meal. I love chicken! If you have follow my blog for my long, you understand what I mean. I eat grilled boneless skinless chicken breast almost daily (usually tossed into my salad at lunch). Even though my love goes deep for chicken breasts (that could be grossly misinterpreted…anyways, moving right along) I like to switch it up every once in awhile. My favorite way to switch up my chicken recipes is to use chicken thighs. They are a dark meat, so they have a little bit more fat and flavor, and are also cheaper than chicken breasts. Organic boneless skinless chicken thighs frequently go on sale at my local grocer, so I usually buy a pound or two when they do. I can’t pass up a sale on high-quality meat. Chicken breasts also tend to dry out really quickly and are really easy to over cook, while chicken thighs tend to get tender and juicy when over cooked a bit. Think of chicken breasts for fast and high heat and chicken thighs for slow and low heat. Not only are chicken thighs flavorful and cheap, they are also super-easy to prepare. 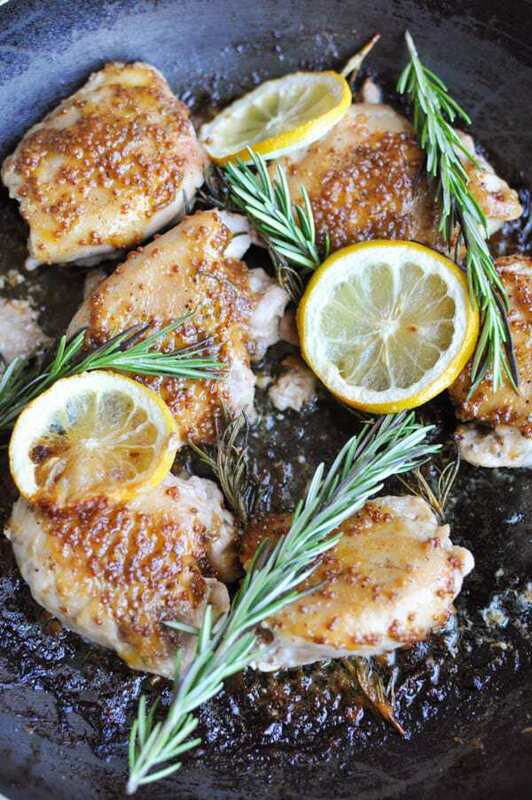 These lemon rosemary Paleo baked lemon chicken thighs are so quick and easy. They are perfect for a weeknight dinner option. 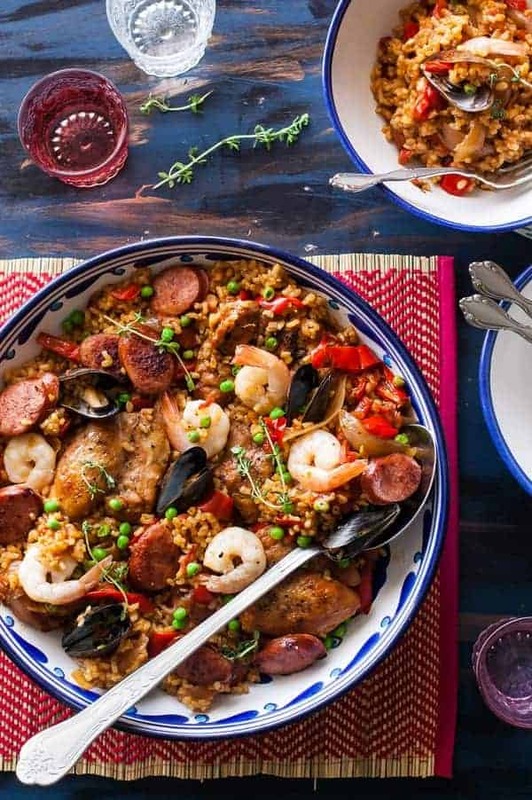 I actually made myself some of these for lunch the other day, that’s how easy they are…and no, I don’t “cook” myself lunch everyday – I am not that crazy – promise. I just had some thighs defrosted in the fridge, and they sounded really good, so I whipped some up for myself. Anyways, they are easy, and so flavorful. 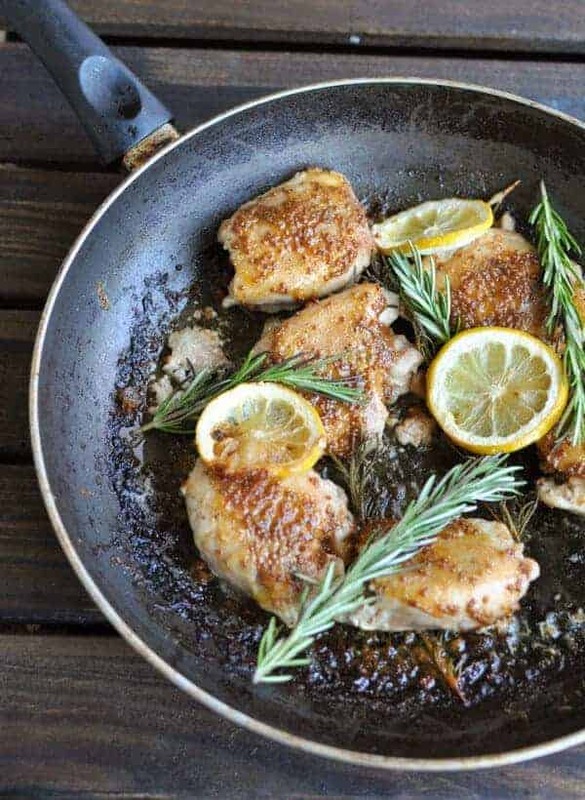 The little bit of butter and rosemary is so dang tasty with all of the lemon flavor, and it makes the dark meat of the thighs almost melt in your mouth – really it is so GOOD…so the next time you see chicken thighs on sale, buy some and try this recipe. You won’t regret it! Rosemary is really easy to grow indoors with a grow light or, if you are lucky enough to have a bright window. Or it grows well outside in the garden. We get pretty cold winters here in Utah, like usually a few days under 0 F and we’ve been able to get rosemary to weather over the winter. We’ve found if you can get it to last the first winter, there’s a good chance it will last for a long time. You just have to find a somewhat sheltered spot, like against the house or fence in the sunny part of the yard. And yes, it is worth the effort. We use rosemary on lots of food around here. If you don’t mind a little extra fat, adding a little extra butter and lemon fresh at the end is really good. Sometimes I throw in some fresh garlic cloves in the pan in the oven for even more flavor. The honey is totally optional. It is good, but I really try to limit my sugar and often leave it out. 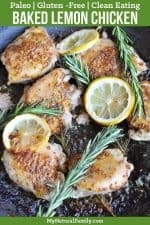 I would love to know if you try this Paleo baked lemon chicken thighs recipe and what you think of it. Please comment below and let me know what you think! These Lemon Rosemary Paleo Chicken Thighs are super flavorful and super simple to make – your whole family will love them! Season the chicken thighs with salt, pepper and rosemary. 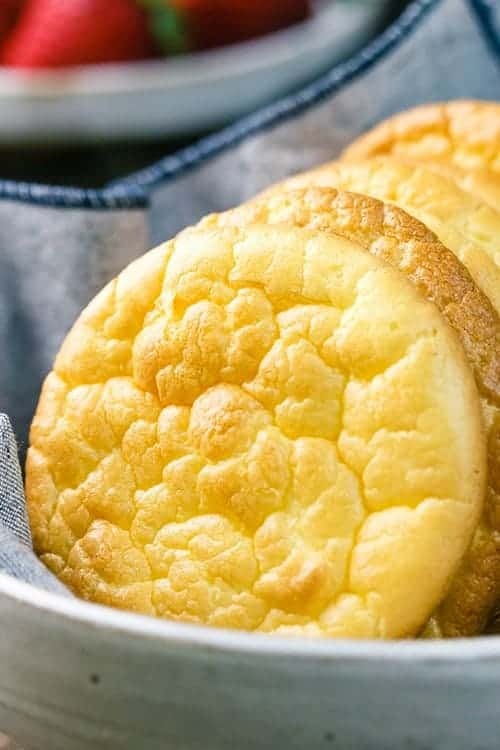 Melt the butter in a large, oven-safe skillet and add the lemon juice and lemon zest. Brown the thighs on one side (2-3 minutes), flip and brown on the other side (another 2-3 minutes). Put the entire skillet in the oven and bake 20-25 minutes. While baking, mix the mustard and honey together. Brush the mustard mixture onto the chicken the last 5 minutes of baking and turn oven to broil. These are delicious! I haven’t tried the honey mustard on top, but the basic recipe was amazing. A new family favorite! 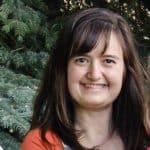 Good to hear! I’m so glad you like them – and they are even better with the honey mustard. I’m so glad you decided to give them a try. I made this and I love the taste of lemon and chicken together. I’m going to be making it again sometime soon! This is a wonderful paleo meal. I think I have everything in the kitchen to make this for dinner. I am so JEALOUS that you have lemons in your garden – that is definitely not the case here in Utah :).